Have a color fesival in your shade garden for years and years. 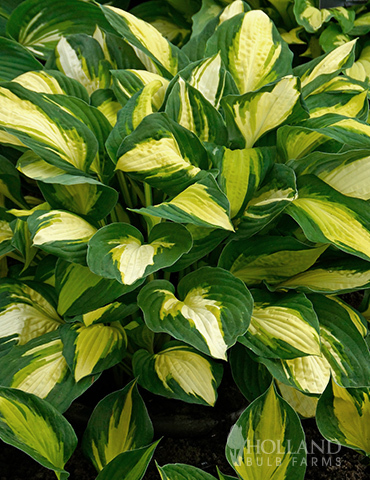 Color Festival hosta is a medium size hosta, growing up to 16" tall with a similar spread. The center of the leaves is a creamy white, which fases to a light green, finally accented by the deep green margins of the leaves. Color Festival is a worthy addition to any shade garden, border, or container.